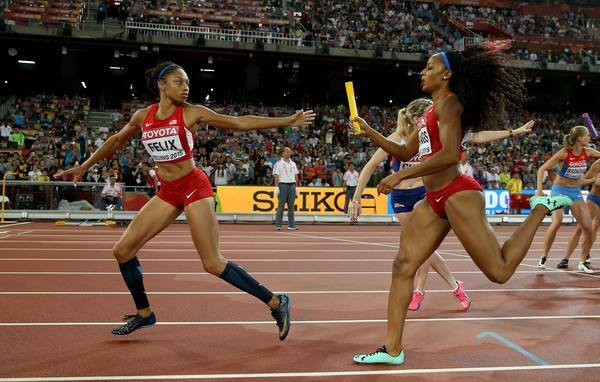 I posted a lot of messages on Twitter and Facebook during the 2015 World Championships in Beijing. If you haven’t connected with me on either channel, please do so, it’s a great way for me to microblog. Sometimes, small snippets do not make great articles. And I get a lot more comments in Facebook than I do on this Blog. 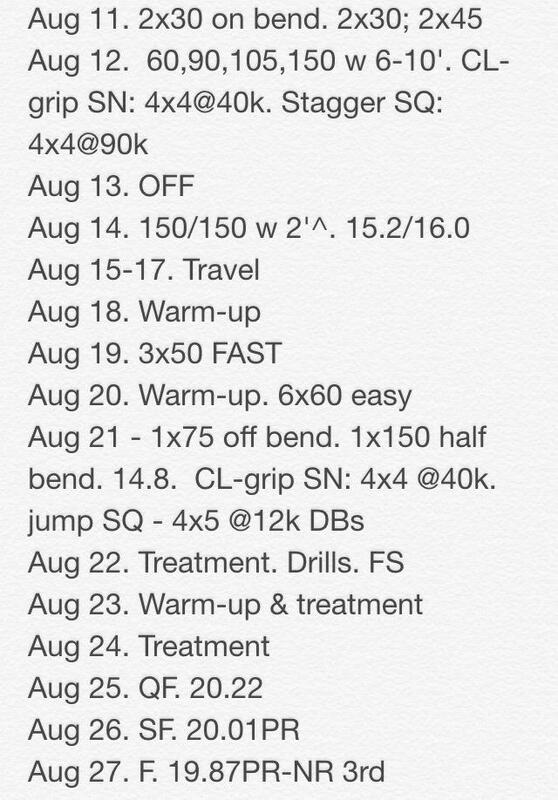 But to summarize, here are 5 good takeaways you need to know as a coach and athlete. Always run through the line. We also saw the Men’s 200m come down 0.002 seconds to determine 3rd and 4th. 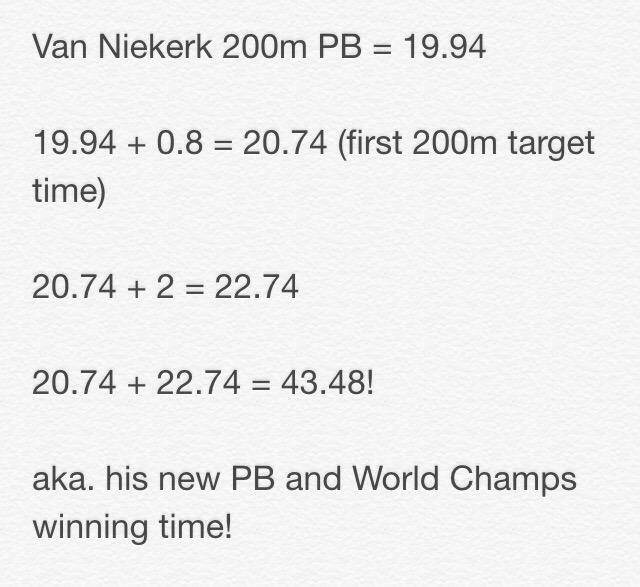 Wayde van Niekerk ran his 1st 200m 0.8 seconds slower than his 200m SB, and his 2nd 200m 2 full seconds slower. Below is the result. Perfect execution. 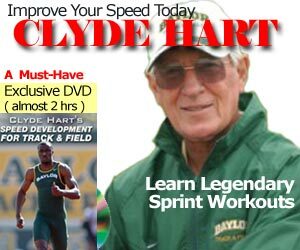 The sweet spot is running between 0.8 and 1.5 seconds from your 200m SB, not PB! And aim for a differential of 1.5 to 2 seconds between the first 200 and second 200. Of course, don’t copy this. Understand the “why and how” he did what he did, and apply it to your next major race. Anything is possible, but be aware that it took Stu 16 years of trial and error to get to this level, which led to a 200m bronze medal behind Usain Bolt and Justin Gatlin. Everyone is talking about these two, especially Javon Francis’s crazy anchor leg, but according to IAAF, it was the fastest of the race: 43.52 split! And let’s not forget the 3rd leg for Belgium: 43.58! NOTE: the first 2 splits are hand timed, due to the stagger, as it should be. NOTE 2: Splits mean nothing when you don’t a gold medal. Yes, even in the 4×400. Good exchanges shorten the distance by up to 2 meters of 6 feet! But you only have 20 meters to execute!